Notes: Local in broad-leaved woodland, mature hedgerows and scrub, discontinuously in England from Kent to Yorkshire. 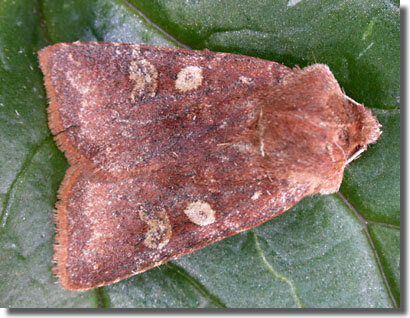 In Hampshire nearly all records are from the north, where it has been found in scattered locations, with exceptionally stragglers reported in the south. Not recorded from the Isle of Wight to date. Wingspan 35-39 mm. 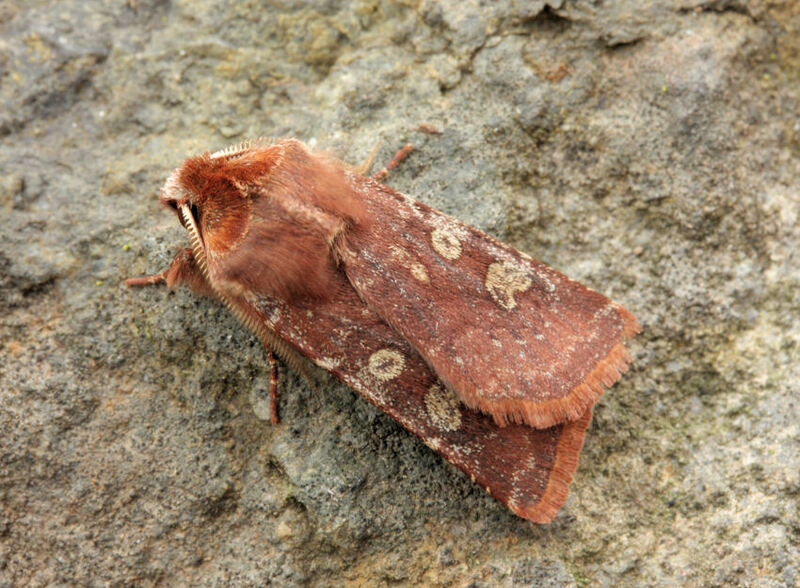 Differs from Red Chestnut C. rubricosa as follows: antenna in male more strongly pectinate; forewing duller and more strongly marked, particularly the pale stigmata; hindwing paler (MBGBI Vol 9). 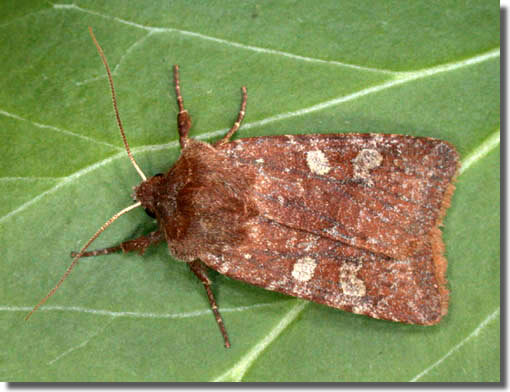 Larva feeds on various herbaceous and woody plants, over-wintering as a pupa.